You are here: Home / Product / Giveaways / Win A Children’s Birthday Party Pack! Win A Children’s Birthday Party Pack! Party Bags and Supplies has teamed up with us here on babyfoote to give you the chance to win everything you need for the ultimate children’s birthday party. Perfect for anyone planning a kids’ birthday party, all your party essentials will be covered in these party packs. Each pack caters for 8 guests and includes 8 Cups, 8 Plates, 16 Napkins & 1 Tablecover plus 8 themed filled party bags! That’s everything you need to impress your guests with a themed party. There are so many popular characters available; there’s bound to be something to suit your little one and their party guests. Themes include Toy Story, Doc McStuffin, Peppa Pig, Owls, Horses, and loads of others! Each pack is worth £28, and you can enter to win one below. 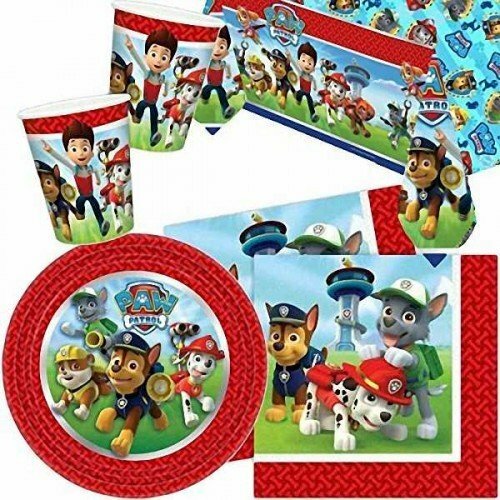 For example here’s what’s in the Paw Patrol party set. Looks fab, doesn’t it! Perfect for easing some of the pressure of hosting a children’s birthday party. 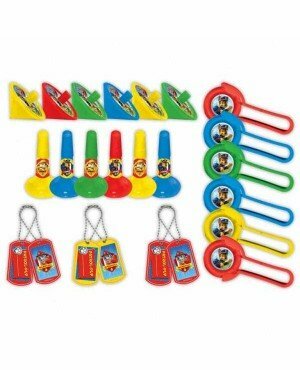 Visit Party Bags and Supplies to see the full range of children’s party supplies. Enter below to win one of the brilliant party packs. Giveaway ends 3rd December 2017. Please note the company reserve the right to request another winner is redrawn if you have previously won a party pack in another giveaway on a different site. UK entries only please.